In Western Australia as in other jurisdictions, the courts are overwhelmed with processing a tsunami of drug and drug-related offending. Allegations of sexual offending aside, drug-related criminality dwarfs all other categories of offending in this State. 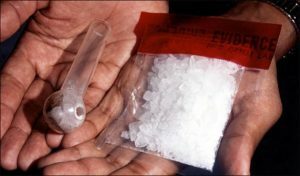 As is commonly appreciated, methamphetamine or ‘ice’ is the prevalent drug of choice amongst those who regularly take or are caught up within a drug-addicted lifestyle. Counter-intuitively the success of State and Federal law enforcement agencies in tackling and reducing the smuggling of organic drugs grown and harvested in other parts of the world, such as cocaine and heroin, has led to a rise in the production and consumption of manufactured drugs such as ice. Until relatively recently, clandestine meth labs set up in residential or industrial premises within this State or others, produced a significant percentage of the drug distributed and consumed in WA. Drug production and supply is however the most basic and most rapaciously profit driven of trades and as with all things, where a significant and growing market emerges production and sales evolve to address and profit from its existence. The clearest illustration of this has been the dramatic increase of the smuggling into WA of high quality and high purity methamphetamine manufactured in China and elsewhere. 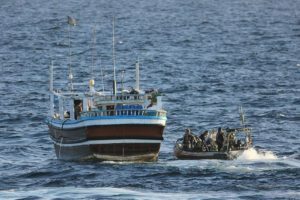 At the end of 2017, thirteen Chinese and Malaysian accused were tried in the Perth Supreme court for the attempted importation of 180 tonnes of high purity ice hidden on a fishing vessel sailed from southern China. Subsequently numerous further arrests have been made in relation to a conspiracy to import over a tonne of methamphetamine by sea from overseas. No matter how successful the law enforcement agencies become at detecting and breaking up such concerted and meticulously planned criminal drug conspiracies, the flow of consumable drugs into the State remains to all intents unstoppable. The drug is smuggled undetected through airports in private luggage and sent from overseas via courier for collection, no matter how many detections are made, far more importations go undetected. So the drugs continue to arrive and are consumed and distributed by Western Australians in varying quantities in Perth and all regional towns and cities. To call the prevalence of consumption and distribution an epidemic is a fact and not an exaggeration. To many, taking meth becomes a way of life in tandem with their day job. The work place is replete with individuals who function to the required standard while consuming ice on a daily basis. Why? What’s the point? Jack (not his real name) was sentenced in the last week, for possession of just over 100g of ice with intent to sell and supply it, explained that ‘It numbs you, it holds life at arm’s length and nothing else really matters.’ Jack earned good money as a fully employed bricklayer. He owned a house and paid the mortgage. But he didn’t earn the sort of money that funded his $1,000 per week ice habit and so he began to buy more than he took and deal the extra to mates and mates of mates. In no time flat, he had graduated into what the courts categorise a mid-level drug dealer. He sold drugs for money and when it came to sentencing it mattered not that he had no previous convictions, a full-time job or was widely well thought of and respected amongst his work and peer group. It matters little, for this reason, that under the sentencing regime in this state, the need for general deterrence and specific deterrence predominates almost completely over all other sentencing considerations. In other words, Parliament and the Court of Appeal have determined that the most important purpose of a sentence handed down to a drug dealer is the message it sends to society at large and to the individual so punished. Sentences so harsh that they deter others from such a course. Making drug dealers will think twice before embarking upon or continuing in their prospective or chosen trade. Does this work? Not in the least as the ongoing tsunami of drug offending washing through our courts plainly illustrates. Either the message as to the harshness of the sentences isn’t being broadcast or there is an indifference in the audience. One suspects the latter and that the lure and the pipedream of fantastic profit and easy money funding a luxurious effort-free lifestyle makes the risk of prison worth taking. Jack got four and a half years immediate imprisonment irrespective of the fact that he was a first-time offender, had an exceptional work record and had pleaded guilty at the earliest reasonable opportunity. Indeed, the sentencing judge sited Court of Appeal authority during the sentencing hearing that a first offender was to be dealt with under the principle of general deterrence and specific deterrence and could expect little sentencing discount for a previously good character. Jack also lost all his worldly assets as part of the sentencing process as a drug trafficker, irrespective of the fact that he could show all property had been purchased off the back of legitimate employment. It is evident, therefore, that those who import the drugs into this country and those who use and sell it on arrival are subject to the same draconian sentencing regime. Increasingly harsh sentences that are achieving little in either deterring the importation or the onward sale on arrival of drugs such as ice. Objectively of course, one can see the need for swingingly high sentences for those who send drugs into this country and are driven entirely by profit heedless of human and social suffering. They are not part of this society and unaffected by the demise and dislocation and pain of its inhabitants after all. But to treat addicts turned drug dealers in the same way seems illogical and counter-productive surely? Sentences incorporating rehabilitation and education and programs of social engagement would address a problem that wears a human face. By simply passing longer and longer prison sentences on user-dealers like Jack, we are achieving nothing at all. The sentences manifestly do not deter people from dealing drugs and once they emerge from fabulously expensive tax-payer-funded sabbaticals, they have frequently gained little insight into themselves or the harm they have caused their own society. Furthermore, even first-time offenders have often developed a criminal network from amongst those they served their sentences with. 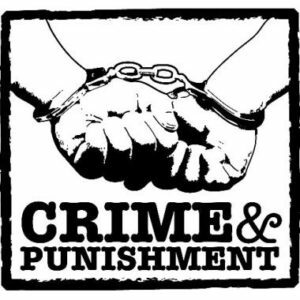 They have been transformed from often fully-employed individuals engaging in criminal activity to fully formed criminals who have shed any thought of compliance with legal and social norms. They used ice because, like Jack, it numbed them and held life at arms-length but rather than being punished in a way that helps them engage with and dispense with the need for social sedatives, they emerge back into society even more alienated from those who live in it. Vulnerable to recidivism and becoming part of the cycle of re-offending that leads to such a high volume of drug crime clogging our courts. The benefit and efficacy of general and specific deterrence as the most effective form of sentencing is a self-evident myth and exacerbates disastrously the predicament of those so sentenced and those of us who live in an increasingly fractured society. Fractured by drugs and by the ineffective and self-perpetuating remedies given to those who offend. We must distinguish between individuals who come before our courts for sentence and not just misdiagnose them with a one size fits all sanction. If you lose sight of the plight and true motivation of the individual you surely lose touch with the society you serve.